When it comes to holiday parties, the office variety tends to be among the trickiest to dress for. After all, it's hard enough finding the perfect balance between professionalism and party-ready, then adding on the pressure of wanting to, of course, impress your boss and co-workers. Where does that leave you? Somewhere between formal and festive that can be hard to pinpoint—but that’s where we come in. 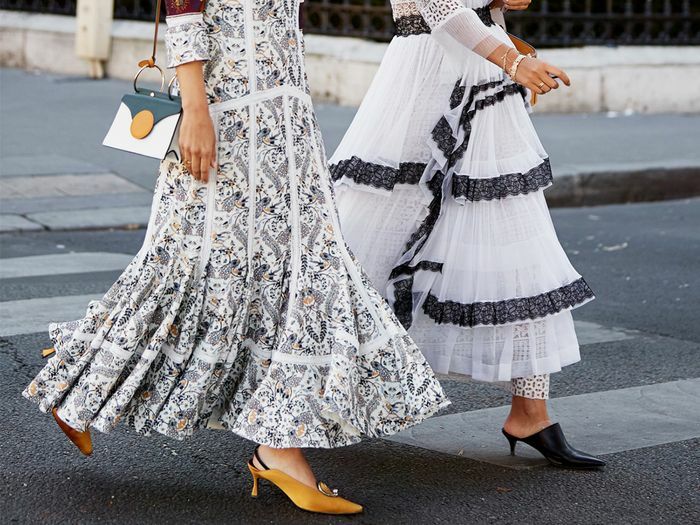 Today, we’ve rounded up 21 amazing dresses that hit the mark just where you want them to, and are not only perfect for your work event but cool enough to want to wear over and over again. To see our picks, simply keep reading—and happy holiday shopping! You can never go wrong with velvet in holiday season. Winter whites done so right. I love the idea of a blazer dress. A classic silhouette meets an updated print. Doesn't this look so luxe? A-line always fits great and has a timeless feel. This is how you do gold subtly. A minidress that totally works. You can wear this over and over again with different accessories. Close out holiday season with a bang. This falls into the black-but-not-boring category I love so much. This knit dress is so intricately done and detailed. Alexa Chung knows a thing or two about party dresses. If you're looking for that wow factor. Somehow, this zebra print still feels so subtle. As cool as this looks with Western boots, you can simply try some metallic heels to dress it up. You can also wear this to your next winter wedding. I love the idea of layering a plaid dress over a knit. Up next: eight stylish outfits, for every night of Hanukkah.